Nerium International is one of the fastest-growing direct sales opportunities. There’s no better way to demonstrate Nerium International’s remarkable success than to just show you the facts. The FASTEST company in the industry to achieve $100 million in sales in its first full year. The YOUNGEST company to make the Direct Selling News Global 100 List. The youngest company EVER to be featured in Success from Home magazine and profiled three times in three years. And don’t forget, you can receive FREE products, cash bonuses, car bonuses, exotic vacations, and iPads along the way. Nerium International is changing lives. So why not yours? Since the Nerium International launch in 2011, Nerium International has had exponential growth and continues to surpass any projections. Nerium’s rate of expansion is unprecedented in the relationship marketing industry. 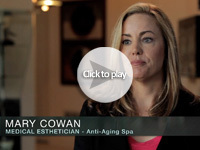 find out why thousands are “looking better and living better” with Nerium. The NeriumAD product line speaks for itself, but while our products are improving skin, our company is changing lives. Top Executives: Jeff Olson, Founder and CEO; Renee Olson, Co-Founder and Corporate Liaison; Dennis Windsor, Co-Founder and President; and Amber Olson Rourke, Co-Founder and Vice President of Marketing and Culture. Nerium International has experienced extreme rapid growth and success. The company is still young—two full years in business—and already becoming a significant force in mentoring and changing lives. When the founders of Nerium International were pouring the philosophical foundation of their new company they were influenced by their own life experiences. They had learned that lifting others up often results in one’s own life becoming richer, and they desired to transfer that concept to all aspects of their new company. It is this philosophy and unwavering belief in the importance of people to the success of the entity that brought the founders together to form, not only a solid company, but also a community of entrepreneurs who would embrace such a culture. Jeff Olson, Founder and CEO, had written a very popular book—The Slight Edge: Turning Simple Disciplines Into Massive Success—that laid the groundwork for the principles and values upon which to build the company. Renee Olson, Co-Founder and Corporate Liaison, would take on the responsibility of ensuring that this philosophy would be communicated to the field where relationships could grow and the concept could be cultivated. Dennis Windsor, Co-Founder and President, would integrate these values into the sales plan designed to attract people from every walk of life possible. To complete the team, Amber Olson Rourke, Co-Founder and Vice President of Marketing and Culture, would take on the responsibilities associated with the marketing of the products, and most important, the Nerium Culture. The mission of the company became quite simple: Make People Better. Instead of providing pictures from the corporate office produced by a professional photographer, Nerium’s leadership asked users to provide their own photos, taken on their phones. This bold marketing tactic, in conjunction with the company philosophy of Nerium International Gives Back, has played a major role in the company’s extraordinary success. Dennis Windsor does not speak in traditional sales language when he discusses how Nerium International Brand Partners actually build their businesses. He emphasizes the importance of understanding the value of serving, giving of one’s self, and making a positive impact on someone else’s life, family, neighbors and community. The company becomes a role model for giving and serving by making it possible for all Brand Partners to qualify for free product through performance. This ignites company giving, which in turn allows Brand Partners to “give through sampling” via their interactions with potential customers and prospective Brand Partners. Active customers who are purchasing regularly also have the opportunity to earn free product when they refer other customers who become active users. Rarely do Brand Partners have to invest in product to build their businesses. Their performance can qualify them for free product, which is the foundation of the sampling strategy. Nerium International consistently looks for more and more ways to give and demonstrate their commitment to their people. Olson personally created a unique way to communicate this commitment by starting what he believes will evolve into a worldwide movement. The purpose of a newly introduced “Live Happy” project is to share with others the importance of personal responsibility, especially in the area of purposefully living a happy life. Live Happy magazine is completely separate from Nerium International marketing material. The magazine is approximately 80 pages and does not contain Nerium branding or advertisement. It is entirely devoted to editorial that supports turning positive psychology into applicable life steps and why happiness should be thought of as a choice rather than a result. Scientific research has proven that happiness is a precursor to success, great relationships, health and more. The magazine is on newsstands and is unique in that it contains nothing of a negative nature. Most unique is that it is given free to all active Brand Partners and all active Nerium customers of Brand Partners. Olson speaks with enormous pride and unflappable enthusiasm when he speaks about Live Happy. He sponsored The Positive Education Summit recently held at 10 Downing Street in London, which attracted some of the most notable thought leaders, educators and scientists on the subject of happiness. International Day of Happiness, sponsored by the United Nations, is March 20, and Live Happy staff is a participant in the planning. In 2012, Nerium International closed its first full year with $100 million in revenues, achieving the Direct Selling News Bravo Award for Growth that year, and it is on track to have another record-breaking year when 2013 numbers are released. “We always knew we would be a great skincare company and a great financial opportunity, but our real goal has always been around making people better,” Olson says. He reveals that a vast majority of Nerium International Brand Partners have never been involved in direct selling. For Nerium’s leadership team this fact presents an opportunity to provide training to individuals hungry to learn the best way to build a Nerium International business. “Our training is comprehensive, with resources for every level of knowledge,” Olson says. As part of the training program there is a Fast Start Kit, online training for both new and experienced Brand Partners, monthly regional training meetings, corporate seasonal events, weekly corporate and field leadership conference calls, and an entire Nerium International University in the form of topic-specific webinars. Most unique is the fact that 50 percent of all content is focused on personal development of the individual—and now on Live Happy. In support of this, Renee Olson ensures that the field sales organization experiences a feeling of having joined a family—one that believes in each other and believes a spirit of sharing is critical and essential to mutual success. She is admired by the sales organization and, along with the Brand Partner Relationship Team, devotes a lot of her time to interaction with Nerium Brand Partners and customers. Nerium also retained an esteemed leadership coach for its leaders. The coaching is not just about business building but most importantly about how to achieve life goals and work-life balance. The organization that rose to the top was Big Brothers Big Sisters (BBBS). For more than a century BBBS has been partnering children and teens (Littles), ages 6 through 18, with adult volunteers (Bigs) for the purpose of offering positive relationships that have a direct effect on these young lives. According to BBBS’s website, the Big Brothers Association was formed in 1904, and many years later it partnered with Big Sisters International, an organization of Catholic Sisters following the same plan as Big Brothers. Eventually, the partnership formed what is now BBBS. “Their philosophy of helping make people’s lives better perfectly matches what we strive to achieve at Nerium International,” Olson says. “Their mission statement is essentially the same as ours.” At BBBS the mission is to provide children facing adversity with strong and enduring professionally supported one-to-one relationships that change their lives for the better, forever. In addition to becoming Bigs to the BBBS Littles, Nerium International employees and Nerium International Brand Partners raise funds throughout the year to donate to the organization. Fundraisers are held at local, regional and national events. “Our partners have raised over $400,000 in just one year,” Rourke says. “Over $100,000 of that amount was raised at the BBBS signature fundraising event, Bowl for Kids’ Sake.” Half a million people rally at local bowling centers across the nation raising awareness of the challenges some children face. “From the very first day that we announced Nerium’s support of BBBS, the Brand Partners have embraced the cause,” Rourke says. “They easily recognize the value of changing lives for the better.” In addition to becoming Bigs and participating in corporately sponsored fundraisers, the Brand Partners have creatively raised funds on their own and truly taken ownership of the cause. “Giving to this cause is part of our corporate culture. That’s very exciting because every $1,000 raised basically supports another Big and Little match,” she says. Nerium International workshops, based on the book SUCCESS for Teens, teach children how to get where they want to go in life, how to bolster their own self-esteem and how to develop the kind of leadership skills that will help them recognize opportunities and meet their goals. Nerium International also brings personal development to young people. Based on the book SUCCESS for Teens, workshops are conducted in conjunction with all major events. Brand Partners bring their children along with their friends. “It’s a very special workshop because it shows kids that every day you can get 1 percent better,” says Victor Palomares, a high school literature teacher who leads the workshops. The workshops teach children how to get where they want to go in life, how to bolster their own self-esteem and how to develop the kind of leadership skills that will help them recognize opportunities and meet their goals. 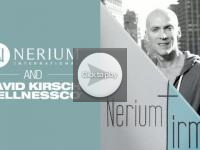 Nerium International falls into the new company category when looking at years in business. However, the company’s impact on lives appears to measure beyond its chronological age. The company commitment to give goes beyond dollars and cents and represents another example of why the culture of a direct selling company can have such a positive impact on lives. So where does a company that has made such an impact go from here? Nerium’s plans for the future include creating a global presence, continuing to be a major corporate sponsor and provider of Bigs in support of BBBS, and growing their business by adhering to the three words of the mission statement: Make People Better. Nerium receives the 2012 Global 100 Bravo Award for growth in business. With the astounding amount of sale growth in the first year of business the Bravo Award was an honor to receive for the success. The Global 100 Awards were initiated in 2010, honoring the top 100 direct selling companies in the world. In the same year, the Bravo Award for Growth was introduced. The Bravo Award is granted to the company with the greatest percentage of certified revenue increase over the prior year. Nerium International, a company that markets breakthrough skin care products validated by science, is pleased to receive the 2012 Global 100 Bravo Award for Growth. Nerium International, which launched in 2011, did not launch in a rush. In fact, one of the company’s core values is to “slow down to go fast,” a concept that laid the foundation for the company’s phenomenal public reception. While every successful business keeps a keen eye on its sales, Nerium International is about more than just the money. With programs such as Nerium Gives Back (to help boost brand partners’ financial success) and the Nerium Ripple (to make an active difference in others’ lives), along with the company’s partnership with Big Brothers Big Sisters of America, it’s clear that Nerium International has sought to offer authenticity and value from day one. 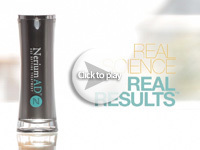 Nerium™ International, LLC, headquartered in Addison, Texas, markets breakthrough products validated by science. In 2011, the relationship marketing company partnered with Nerium SkinCare™ Inc. (a subsidiary of Nerium Biotechnology, Inc.®), to deliver the NeriumAD™ skincare line. These first-of-their-kind products – clinically proven to reduce the appearance of fines lines and wrinkles – are the result of leading-edge research into the Nerium oleander plant and its age-defying results when applied to the skin. Led by an executive team with more than 150 years of collective experience, Nerium International is committed to developing and distributing skincare products that are rooted in real science and produce real results that improve consumers’ lives. Creator of the best-selling NeriumAD line of age-defying products, Nerium International has big plans for expansion. With the addition of new Co-Chief Executive Officer Jeff Dahl and President of International Roy Truett, Nerium is introducing a new breakthrough product line and growing globally starting in Canada this spring. “We have wanted to expand internationally since inception, and with the help of our new executive officers we are excited to start achieving this goal,” says Founder and Chief Executive Officer Jeff Olson. Since its August 2011 launch, Nerium International has reached record-breaking sales and earned industry accolades while building millions of consumer fans along the way. “From our software development to a global product line that produces high-impact results, we have invested time and money in preparing our business internationally. This will ultimately be our greatest strength moving forward in a global market,” Olson says. With a focus on science and clinically proven products that produce real results, the Nerium International Product Development team has been working on building cutting-edge, anti-aging products that meet a wide array of international regulatory requirements over the last two years. As a result, a new line was developed and will be unveiled in the provinces of Ontario and British Columbia with other provinces to follow in the near future. Sharing Nerium’s vision with the world will take leadership that reflects the company’s family-based culture, so Nerium International has chosen two experienced innovators from the relationship marketing industry to take the company’s rhythm international. Nerium #86 on Direct Selling News’ Global Top 100 List for 2012. Nerium International was 86 on the Top 100 List for 2012. At only 19 months old, so to get a firm foothold in the top 100 direct selling companies was very impressive, with only one product in one country. A year later, and Nerium International is back on the DSN’s list, this time at #54! In 2013, Nerium International launched NeriumAD Day Cream and found tremendous success with the addition to the product line. This success has been achieved while the products were available only in the US and its territories. With only two products in one country, Nerium International jump over 30 spaces on the DSN’s list. Nerium’s products work! Not only do people see their own real results, there is science and clinical research to back up the products. All of the Nerium products have exclusive ingredients that can’t be duplicated. 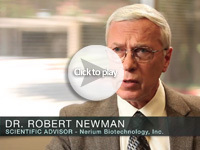 Spring of 2014 Nerium International launched NeriumFirm, the new body contouring cream. Nerium International developed and released the new Optimera, Nerium’s international anti-aging product line. They have also opened the doors to two Canadian provinces, with plans to open Canada in its entirety by the end of June. Further international expansion is planned as for the year 2014.